Talent, brains and the willingness to work hard can sometimes be found in the most unlikeliest of places, even the prison system. The difference between success and failure is often opportunity, which the Bard Prison Initiative brings to state prison inmates. The Bard Prison Initiative (BPI) is a program that brings state prison inmates the chance to earn tuition-free college credit and degrees that was started by New York’s Bard College 15 years ago. The program currently has 300 students in six prisons in New York. The BPI offers inmates who are accepted into their college program about 60 different courses a semester, ranging from mathematics, computer science, philosophy, literature and many more. In addition, the BPI has partnered with 12 other colleges and universities in other states to duplicate the program. While the program still has some critics who scoff at giving convicted criminals free education, the BPI’s mission is not to influence political policy. Rather, the program sticks to education, treating its incarcerated students the same as its students on its New York campus, and holding them to the same standards. The results have been noteworthy: the most famous story being the story of Bard students from the maximum security Eastern New York Correctional Facility defeating students from Harvard University in a 2015 debate competition. Beyond that, hundreds of BPI students have earned degrees over the years, improving their lives and the lives of their families and lowering the prison recidivism rate considerably. Saturday, Jessica Neptune, the Director of the Bard Prison Initiative’s Chicago office, will moderate a discussion at the Printers Row Lit Fest on Reading in the Era of Mass Incarceration: Daniel Karpowitz in conversation with Heather Ann Thompson and Julilly Kohler-Hausmann. Karpowitz, who is the director of policy and national programs for the BPI and a lecturer in law and humanities at Bard College, recently wrote a book on the Bard Prison Initiative called “College In Prison.” Thompson is a Pulitzer Prize winning historian at the University of Michigan and Julilly Kohler-Hausmann is a history professor at Cornell University whose book “Getting Tough: Welfare and Imprisonment in 1970s America” was released in May. Neptune grew up in New Mexico until she was 14. She then lived on the East Coast and attended Bard College in New York before earning her Ph.D in history focusing on the origins of mass incarceration at the University of Chicago. 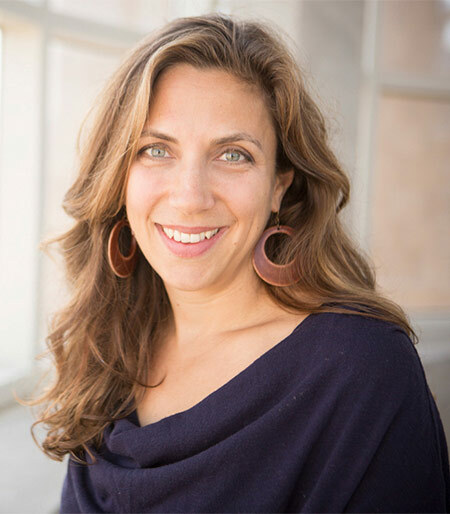 She also worked on the Obama Administration’s Federal Interagency Reentry Council as an American Council of Learned Societies Public Fellow before going to work for the school where she earned her undergraduate degree. The Chicago Ambassador’s Bob Chiarito recently met with Neptune to talk about how the Bard Prison Initiative works, its students, and its plans going forward. CA) Your interest in the prison system and “mass incarceration” began while you were an undergrad at Bard College? NEPTUNE) My undergraduate interest spanned a host of things. It was the era of Giuliani. Students began to get involved in the Drop the Rock effort to reform drug laws and efforts like that, and most crucially, students began to go into the prisons around Bard [as volunteers]. If you know the landscape of incarceration, most people who are incarcerated in New York state come from New York City and are in prison upstate. Bard is 90 miles from New York City and literally surrounded by prisons. NEPTUNE) Exactly. Illinois is the reverse, where the prisons are downstate. In New York, the prisons are upstate. So while I was doing my undergrad work, a classmate of mine Max Kenner approached Bard’s president with the notion of bringing the liberal arts experience that we had at Bard into the prisons. Providing Bard credits, Bard transcripts, and Bard degrees and the college to its credit was incredibly receptive and basically said if you could get the prisons to let us go in and you raise the money, we’ll do it. And Kenner pulled it off. After he graduated he spent the entire summer going to every prison he could and there was not a prison superintendent that didn’t want BPI. So, that was the launch, the pilot started 15 years years ago at a prison called Eastern. Then I went to the University of Chicago knowing that I wanted to keep studying this issue. During this time, I had this little spiel about how the U.S. prison population went from 300,000 to 2 million in 30 years to explain mass incarceration. No one in the history department was doing this type of work at the time but since then the field has exploded and no one has been more at the forefront of the movement within historical scholarship than Heather Ann Thompson. Her article about mass incarceration was a seminal work that challenged a lot of historians to start paying attention to the issue. So, there have been some scholars taking up this work in the last 5 years and Julily Kohler-Hausmann is one of those scholars. CA) You recruited them for this panel? NEPTUNE) Yes. 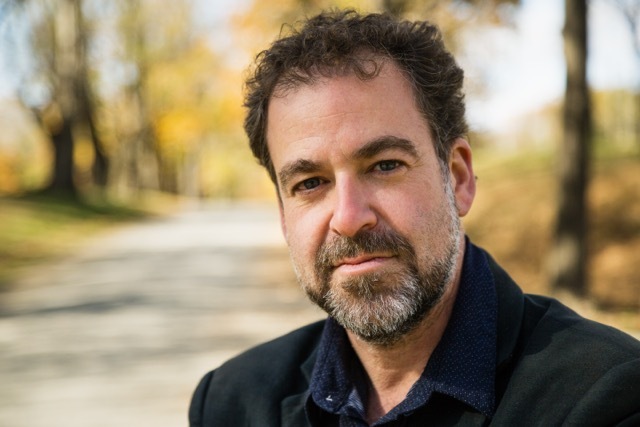 Which is a different framing of how Daniel Karpowitz’s book on the Bard Prison Initiative is usually talked about and that’s because as much as those of us who were undergrads at Bard in the late 1990s were thinking about the problem of what we now call mass incarceration, the most beautiful thing about what BPI became is that it is really not an enterprise that’s designed to be a criminal intervention. It sees itself as wholly a part of the college and its mission is about education. It’s about understanding that there are brains and talent everywhere and the institutions of higher education have been largely derelict in finding talent and ambition wherever it may be, especially in places considered to be unlikely places. So it’s about a real love for the liberal arts and that’s something that’s been under attack generally in higher education and in the context of prisons, I don’t think most people think incarcerated people need more than vocational training. CA) You say there’s no criminal justice motivation but obviously educating these inmates must help lower recidivism. NEPTUNE) Absolutely. Our recidivism rate is 2 percent for people who have completed the program and 4 percent for people who have participated in it at all. CA) You’re talking about people who drop out? NEPTUNE) Sometimes they are released from prison before they have time to complete their degrees. I think we have such a low recidivism rate because it’s not our mission at all. We don’t want faculty to go into the prison thinking that they are doing anything other than teaching the subjects of their expertise and doing the exact same things they are doing on the Bard campus. It’s the same curriculum, it’s the same level of expectation, and students know that. It’s a rigorous process to get in, many more apply than get in. CA) How many are in the program right now. CA) Is the program only for certain types of inmates? —i.e., non-violent offenders? NEPTUNE) We don’t ask or want to know what students are in for. We don’t care how long how long they are incarcerated for except that we will take into consideration that if someone is about to get out in 18 months and don’t have enough time, we may try to connect them to resources on the outside. CA) What about someone with a life sentence? NEPTUNE) That’s always a question we get. Over 90 percent of the people in prison nationally and in New York are coming home at some point, so it’s very rare that you have students with true life sentences. So, that happens very rarely but we’ve also found that there’s a real value in having classrooms that have a real mix of times of release, including people who have real long sentences. People who have a lot of time after earning a BA often serve as tutors and mentors and play important roles in the college. Whenever you build a college in a prison, it really changes the dynamic of the entire prison. People who are scholars are looked up to across the prison, and typically the rate of violence in the prison drops. There are a tremendous amount of incentives to having cohorts with a range of release dates. We started to talk about hitting capacity in New York when Bard couldn’t grow any larger. When that happened, BPI decided the best way to encourage the field of college in prison is to work with other colleges and universities to get them to develop their own programs with their own credits and degrees. We started that several years ago on the east coast and have several partnerships in the midwest. CA) That’s why you’re in Chicago? NEPTUNE) Yes, I’ve opened up a Chicago office and part of that is because we were in all these states surrounding Illinois and felt that there is a tremendous amount of need and potential in Illinois. NEPTUNE) That’s right. We are a tuition free college that up until this last year has been entirely privately funded. CA) The program has been around for 15 years now, but how much do still have to sell it by citing recidivism numbers and things like that? Can’t people see it’s a win for everybody? NEPTUNE) I wish that was as obvious as it should be. Certainly the political climate today is different in the late 1990s at the height of the tough on crime atmosphere. There are more people who have come around based on the evidence and the financial sense that it makes but the political winds can shift at any time. NEPTUNE) That’s right. But that’s why we’ve avoided being dependent on public money. It’s really crucial that we build institutions that are sustainable and that’s why we rely mostly on private money. CA) You guys don’t do any GED program, so is that something the students must get before being accepted? NEPTUNE) Yes. The only prerequisite for applying to BPI is that the students must have a GED, which is something the Department of Corrections in New York insisted on. New York does a pretty good job of getting people through their GED program, which is not true for every state. 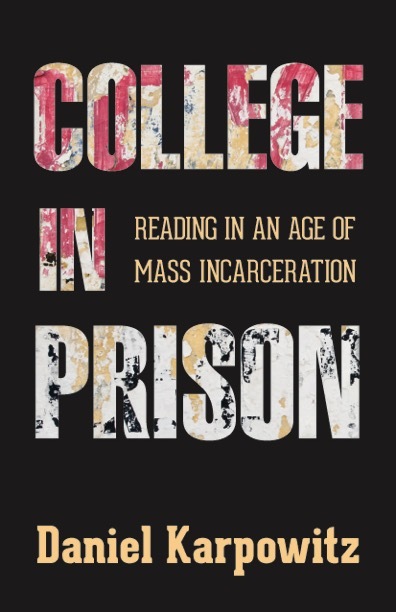 Most people incarcerated in New York and nationally come to prison without having graduated from high school and of course the social scientists have done a lot of studies establishing the links between education and incarceration. You’re far more likely to end up in prison if you don’t have a high school diploma. Our faculty often comment on how Bard’s incarcerated students are the best students that they teach. There’s a joke people often make to me that, ‘oh, of course they do well, they have so much time on their hands” and there is some truth to that, but the real truth to it is that students come to this program ready to put in a tremendous amount of hard work. From day one they are doing really rigorous, ambitious, college-level work. CA) For a lot of these people, I’m guessing it’s their only chance. Maybe they never had a chance before and that’s why they are in prison. NEPTUNE) One of the things that faculty has talked about anecdotally is that they think students who dropped out of traditional schools the earliest tend to be some of their brightest and most successful students. And that certainly speaks to how people from marginalized communities have been failed by our institutions, especially our educational institutions. CA) If I’m a inmate and I get into the program, how long does it take? I’m assuming it doesn’t take 4 years to get a degree. NEPTUNE) Everyone at Bard enrolls first to get an associates degree. Bard is a little unique because we are a liberal arts school that has an associates degree. Then if they have enough time they have to reapply to get into the program to get their bachelors. CA) Do students go to school daily? How does that work? NEPTUNE) It’s full-time enrollment, so it’s all week, all month, all year. The summer is scaled down a little bit. So they are full-time and on the semester system with us. CA) So the schedule mirrors the regular college schedule? NEPTUNE) Pretty much. There are some things because of the reality of prison. CA) So it could take longer? NEPTUNE) It could, mostly if a brand new program is starting and typically we won’t be offering a full-course load right away. CA) When the students earn their degrees, is there anything to indicate that they were earned in prison? They are the same? CA) So when they create a resume, they just put BA from Bard College? CA) They may have to disclose on a job application that they were convicted of a felony but as far as their degree, it’s the same as someone who hasn’t been in prison. NEPTUNE) Yes. Our model is that you’re building a transcript from day one and that transcript is identical to the college’s transcript. There’s no little marking on it that says you earned it somewhere else. It’s a Bard degree. Graduations in the prisons look like graduations on the campus. The president comes and speaks and the band is there, students have caps and gowns. It’s crucial that they know that transcript starts on day one because if they get out before they finish they can take that transcript anywhere. Our director of re-entry knows everyone in the program and he’s often one of the first people alumni see when they get out. He helps to connect alumni to other institutions of higher education. Our students have went on to 35 other colleges and universities after being released from prison. Some of that is to finish an undergraduate degree and some of it is to go on to graduate school. CA) Something positive, or something they can use to teach others? NEPTUNE) That’s right. And BPI has developed a reputation with some employers who know that if we are referring someone, it’s a credible reference. CA) It’s cool that like most other schools, once students go through the program they really have a network and connections. You guys help with job placement and that sort of thing? NEPTUNE) Absolutely. Our director of reentry also spends time in the prisons. So, he has known people since they were admitted and knows what their interests and ambitions are and when people get out they become part of our alumni network. We make sure everyone has healthcare and no one is homeless. CA) Do you have a place for them if they were homeless? NEPTUNE) We have developed relationships with a lot of social service agencies. CA) That’s arguably as important as the degree they earn. NEPTUNE) The power of a college degree is partly what happens in the classroom in the way that education expands your sense of yourself and your world and possibilities and gives you a set of skills. Part of the degree is that it serves as a key, or a credential, that unlocks opportunity. But for us, another part of it is utilizing the social capital that a college like Bard has maximize opportunities that typically people think are not possible for people with criminal records. One example is a student of ours who always wanted to be a nurse. We couldn’t offer her the type of classes she needed on the inside so she majored in sociology. When she got out, she enrolled in a community college to get her prerequisites to get into nursing school, so we found a way to make it happen. The next step is going to be her facing the licensing board and convincing them [to grant her] a nursing license. So each one of those steps is a barrier that is often seen as insurmountable but I think we approach barriers as obstacles that maybe are malleable. We’ll find a way. Neptune’s panel is scheduled to run from 1:45 -2:30 p.m. at the Printer’s Row Lit Fest Saturday. For more information, click here.